One topic that’s on the mind of many families is that of immigration arrests. Since the 2016 election, immigrants have been targeted and arrested. At first, the Trump administration arrested those with a criminal record. Statistics from ICE show that noncriminal arrests have increased over the last year. What happens when someone is arrested by ICE? What are your options? An immigration bond can be used to get someone arrested by ICE out of jail for the time being. Read on to learn what an immigration bond is and how it can be used to get you or your loved one out of jail. When someone is arrested for being in the country illegally, they have a hearing to review the case and assess whether or not the person should be released on bond. They assess whether the person is a flight risk or is a threat to the public. They’ll then set bond, which is a type of security deposit to secure the release of the individual. If the person is perceived as high risk, then they may not be eligible for a bond. ICE sets the bond amount. The bond can be paid for in cash, which is great if you generated extra cashflow for yourself. If you can’t pay for the bond yourself, you can have a hearing to request lowering the bond. This can take time to happen. If you want to get your loved one out of jail sooner, you can use an immigration bond company to help you pay for the bond. The person arrested agrees to certain conditions when they are out of jail on bond. They have to attend all immigration hearings, and they may be required to check in with ICE officers. They must follow these conditions, or they will go back to jail. There are two main types of immigration bonds. The delivery bond is the most common type of immigration bond. This is given to the detainee as Notice of Custody Conditions and Warrant of Arrest. The immigration judge sets the terms of release and bond amount outlined in the Notice of Custody Conditions. A voluntary departure bond lets the person arrested leave the country on their own by a certain deadline. Once the person leaves the country, the bond is refunded. If the person doesn’t leave, then the money is lost. Keep in mind that these bonds are only available to illegal immigrants who do not pose a risk to the public or not a national security risk. In either one of those cases, the person is likely to remain in jail. For example, anyone who has a criminal history will be seen as a threat to the public and will not be eligible for an immigration bond. The cost of an immigration bond depends on a number of factors. The immigration judge will determine the level of risk a person poses. They’ll also determine the likelihood of them showing up for the hearings and meeting the other conditions. The higher the risk they pose or if they seem likely to skip hearings, the higher the bond amount. The less risk, the lower the bond amount. 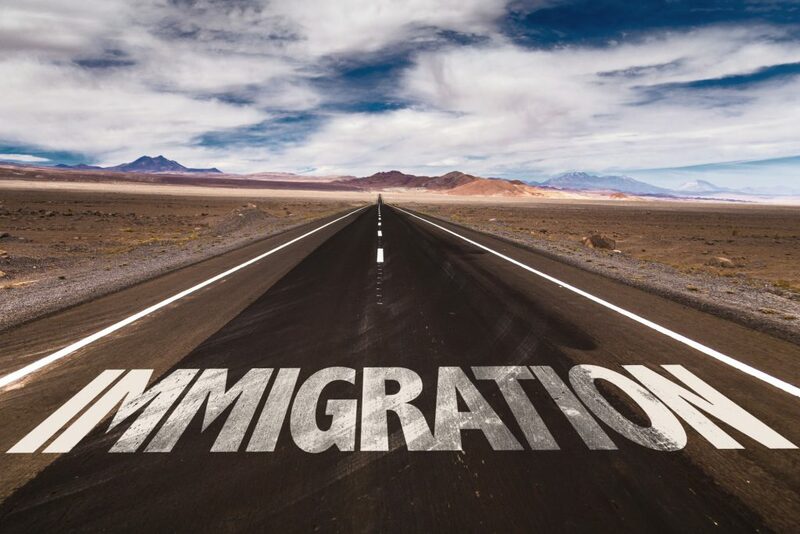 Other factors that are taken into consideration are employment, family ties to the United States, current immigration status, and criminal record. As noted earlier, there are two ways to pay for a bond. You can pay in cash or hire an immigration bond company to help you. You can raise the cash yourself or get the assistance of your friends and family. You pay that to ICE and those funds are held until the person in question met all of their conditions for release. That’s called a cash bond. When the person meets their bond requirements, it can take at least a year to receive the refunded bond money from ICE. There’s another type of bond called surety bond. This is where the immigration bond company pays for the bond, and you pay them 12-20% of the bond amount. You do not receive that money back, even if the person attends all of their hearings. You can find more information here about getting an immigration bond. The final step in the process is finding an immigration bond company to work with. You want to make sure that you’re working with a reputable company to work with. Some companies will be transparent in their pricing or charge hidden fees. In the middle of a crisis, you could make a huge mistake by signing with the wrong company. You’ll want to know if there are application fees, whether or not they charge a flat rate or percentage of the bond. You’ll also need to be clear about insurance premiums. Some companies will charge a renewal fee even after your case has cleared. These are all things that you need to keep in mind, even when chaos is swirling around you. It’s not easy to see a friend or relative be detained by authorities over their immigration status. It can be a painful time for anyone and can induce panic, especially if the person detained is the main income provider for the family. With an immigration bond, you have a way to get your friend or loved one out of jail and let them live their lives while their case is being handled. When the case is resolved, you can get the deposit back. Would you like to get more financial tips? Check out this article about creating an alternative budget.